This three day event celebrates sports and healthy living. 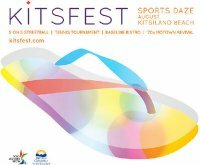 There will be the first ever "Beach Hockey" taking place as well as the more traditional sports of basketball, tennis, volleyball. A kid-friendly zone includes obstacle courses, games and face painting. 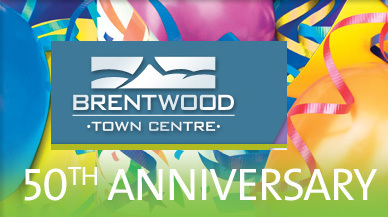 To celebrate their 50th birthday, Brentwood mall is throwing a big party! There will be live music, cake cutting ceremony, London Drugs Tech Fair, kid's fun zone with bouncy castle and face-painting. Local artisans will also be outside selling their wares. To make things even more fun, there will be a scavenger hunt! The first 300 people to finish the hunt will get a $5 Brentwood Gift Card and everyone will be entered into a grand prize draw to win a $250 Gift card. Multicultural kid-friendly festival put on by the South Asian Family Association. The SAFA will transform the Plaza into little India. There will be music, food, clothing, a marketplace, yoga, bhangra and bollywood dance classes. An outdoor movie "Jab We Met" will be shown on Saturday and on Sunday the Olympic Cauldron will be relit and there will be a special live performance by an international bhangra superstar. A multi-lingual karaoke kiosk with a wide selection of music for all will be set up this Saturday. The kiosk will be loaded with songs in Cantonese, English, Filipino, French, Japanese, Hindi, Mandarin and Spanish. This project is part of Viva Vancouver - besides this kiosk, there are other events such as dancing, obstacle courses and concerts. Check the Viva Vancouver website for times. This place will be transformed into a community plaza with a focus on community arts for youth, on three consecutive Saturdays in August. The first plaza Saturday will launch as part of Cambie Village Business Association's Sizzlin' Summer Festival. The plaza will host a local community artist the following two Saturdays who will give youth an opportunity to create works of art using paint and canvasses! Parade route: The Parade will start on Beach ave. at Howe St. (under the Granville St Bridge) at 11:30 AM and go along Beach Ave. finishing at 1:00pm at 2nd Beach. 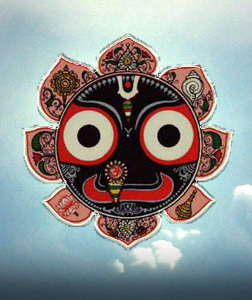 The 38th annual Chariot Parade and Festival of India will feature music, dance, live theatre, food, fashion, India culture, artists and kid-friendly fun tents with face-painting, puppet theatre, clowns and balloons. The parade starts at 11:30 ending at 1pm at 2nd Beach where the main festival will be held until dusk. 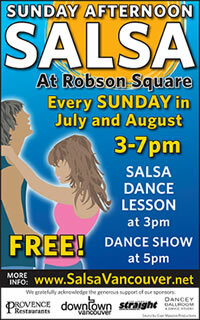 Free salsa lessons, starting with beginners at 3pm. Each lesson is a half hour long. Then at 5pm there is a dance demonstration featuring Vancouver's more talented dancers.